Project_Rorschach presents an opening, a commentary, an aesthetic object in its own right. It is filled with references to contemporary architecture, to Rietvield’s chairs, to the ways in which we consume images, and to the ways we reinterpret them. 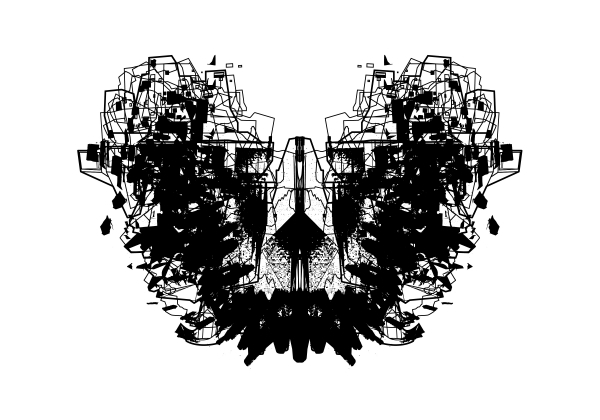 The most obvious among them is the invocation of the contentious Rorschach test. Once meticulously printed on a single antique press in Switzerland, the Rorschach images were sold only to licensed therapists. Having run out of copyright protection in the U.S., the test images are now available on Wikipedia for all to contemplate. 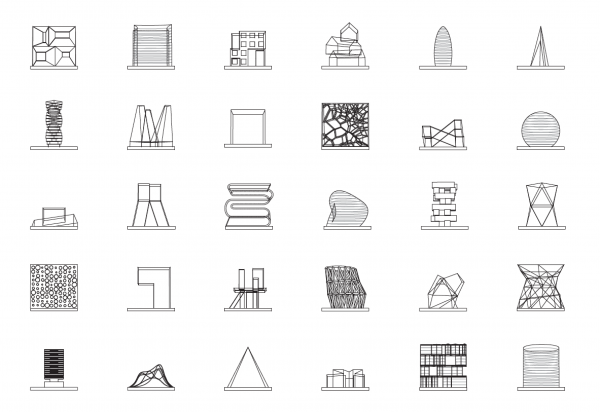 We employ a reference to them as an invitation to follow and see (anew) images of contemporary architectural tropes.